Cape Coast Castle shrine, originally uploaded by nobodaddy69. 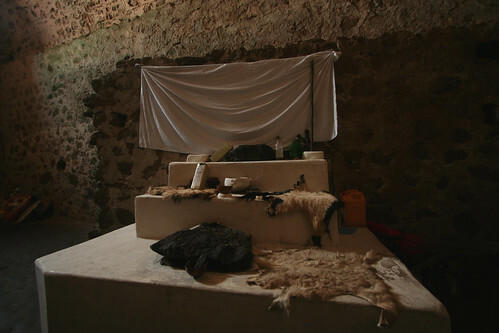 There is a shrine in the slave dungeon at Cape Coast Castle. Perhaps it is there to appease restless spirits. The light in this photo has a painterly effect, like a late Renaissance still life.